City Council Commission D asked Jakarta Forestry Dept. to add more green spaces (RTH) in City within these five years.
" 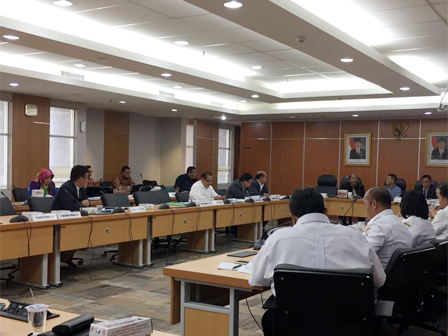 Additional RTH is considered important and it must be realized"
This plan has been conveyed in Regional Medium-Term Development Planning (RPJMD) meeting with Commission D.
Commission D Head, Iman Satria said, Jakarta Forestry Dept. mentioned to build 105 RTHs within five years in the meeting. "Additional RTH is considered important and it must be realized," he affirmed, Wednesday (4/4). He explained, it is ideal to have one RTH in one RW. But it is hard to realize it because of land issues in Jakarta. Thus additional RTH will be installed in densely populated areas. "I guess luxurious settlements don't need RTH since it already has its own garden. So, RTH will be prioritized in densely populated areas," he said.